HiETA have developed solutions for defence applications for land, sea and air environments. HiETA have developed infrared signature reduction technologies that simultaneously redirect, reshape and cool hot exhaust flows. One example is an upswept exhaust concept with an integrated cooling passage and high stiffness lattice structure. The concept and detailed design was developed with structural analysis and CFD to optimise the architecture of the exhaust. Compression testing was used to inform the lattice unit cell design. Finally, a scaled suppressor was manufactured and tested on an engine platform with the surface temperatures measured along with distortion of suppressor under pressure and thermal loads. The concept was validated with the surface temperature visible being over 200°C lower than the pipework upstream. Other examples include a gas turbine exhaust nozzle that shapes the conical exhaust flow into a letterbox shape to aid dispersal whilst also cooling the exhaust flow. Additive manufactured titanium nodes are used to join carbon fibre tubing according to a parametric model to allow the rapid redesign and production of customisable truss structures. Additive manufacturing facilitates the realisation of highly optimised double lap shear joints featuring high aspect ratios and tapered run-outs. The benefits of this approach include weight saving equivalent to an all-composite solution with a cost and leat time saving as a result of the avoidance of hard tooling. HiETA is also developing proprietary technologies for the joining of metallic structures to polymer for composites and ceramics. 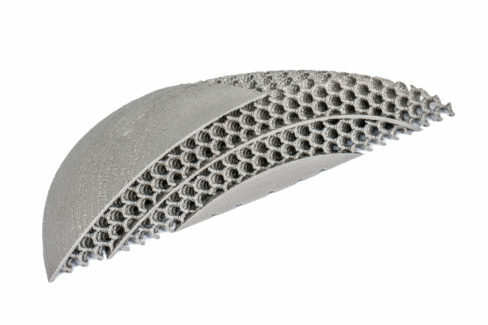 Both employ a common principle of manufacturing a penetrating surface topology using additive manufacturing that is optimised for load transfer and robustness for each adhered. Benefits are up to five times load carrying capacity versus baseline and high elongation to failure. 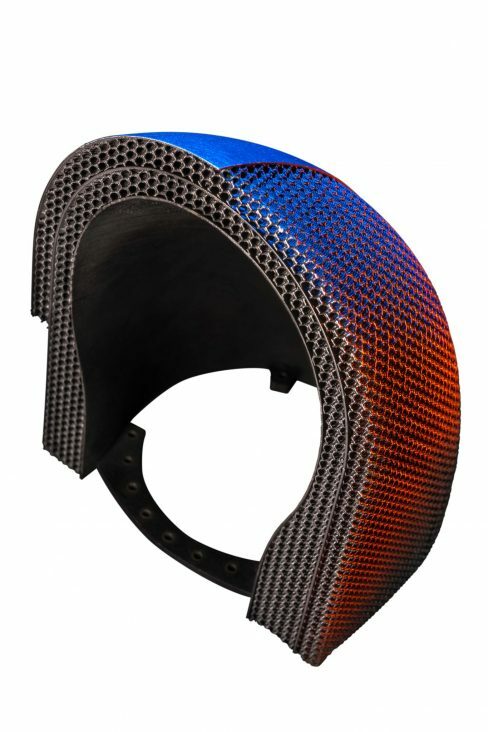 HiETA has demonstrated that legacy equipment can be reproduced with Additive Manufacturing and sometimes improved via the use of state-of-the-art design and optimisation techniques such as topology optimisation. Applications include components for munitions and gas turbine combustion.